Stampendous-Embossing Powder Kit: Converge. Add a sparkle of color. Apply with any adhesive or melt into embossing powder! 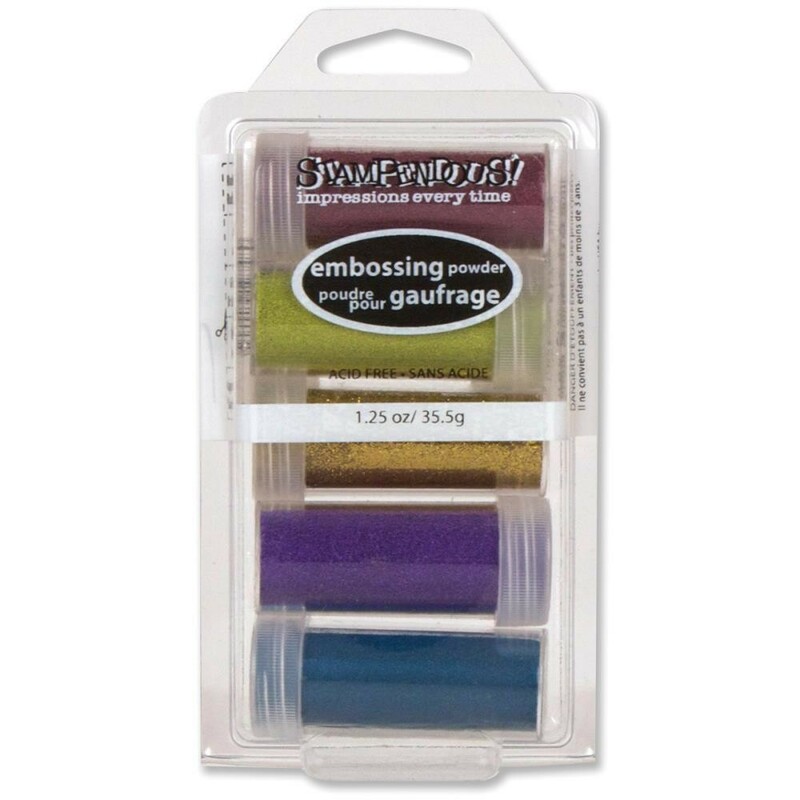 This package contains five embossing powder jars in five different colors (1.25oz total). Acid Free.